VBL – Oversized and Heavy cargo transportations. «Volgo-Baltic Logistic» offers a full spectrum of transport services on inland water ways and international sea ways. 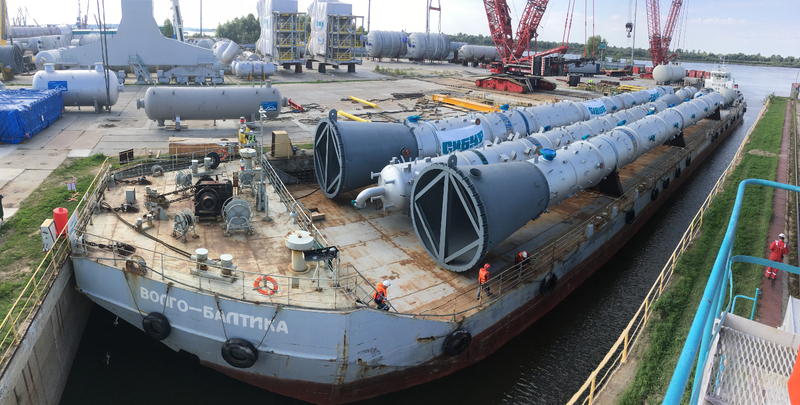 Company has considerable experience and knowledge on the market of sea and river deliveries of bulk, general and project cargo. Our diverse fleet, optimal logistic solutions and team of professionals will provide you with a high level of service to European standards. By turning straight to our company you are getting quotations for transportation from ship owners, a full spectrum of services on the whole route of the transportation, optimum terms for delivery and an individual way of looking after every client. Cliens which have previously made use of the services offered by «Volgo-Balctic Logistic» continue to stay our partners due to our spotless reputation, reliability and high level of effectiveness on the work carried out by us.